Qantas says yields were up across its domestic and international network in February as the cricket World Cup and the arrival of the Year of the Goat boosted demand for travel. The company reported all its flying units – Qantas Domestic, Qantas International, Jetstar Domestic, Jetstar International and Jestar Asia – achieved higher yields and grew revenue per available seat kilometre (RPK) in February, compared with the prior corresponding period. “Strong group domestic yields in the month reflected increased demand during the Cricket World Cup,” Qantas said in a regulatory filing to the Australian Securities Exchange on Monday. Load factors were up for all of Qantas’s Australian-based operations, with Jestar Asia the only unit flying emptier aircraft in February compared with the prior year. Qantas’s domestic operations (including QantasLink) increased revenue load factors 0.9 percentage points to 71.5 per cent. Load factors for Jetstar’s Australian domestic flights were up from 84.1 per cent to 84.3 per cent. Meanwhile, load factors on Qantas’s international flights were 2.8 percentage points higher at 80.2 per cent and Jetstar International reported load factors of 80.4 per cent, up from 77.1 per cent. Jetstar Asia, which is 51 per cent owned by a Singaporean investor with the remaining 49 per cent held by Qantas, suffered a two percentage point fall in load factors to 74.4 per cent and carried 4.5 per cent fewer passengers in the month. However, RPKs rose 5.1 per cent. The figures also show the airline group was continuing to rebalance its domestic network, shrinking capacity at Qantas mainline while boosting the number of seats at the budget end of the market with Jetstar. Qantas mainline has reduced capacity measured by available seat kilometres (ASK) 3.3 per cent over the first eight months of the 2014/15 financial year, compared with the prior corresponding period. Meanwhile, over at Jetstar Domestic ASK’s have increased by 3.5 per cent. “Group domestic capacity in the month was lower compared to the prior corresponding period, in line with the mixed demand environment,” Qantas said. “The dual-brand capacity changes reflect a more dynamic approach to scheduling, better matching capacity with the demand profile in any period. Macquarie Securities analyst Sam Dobson said the February traffic statistics continued the positive trends that were present in January. 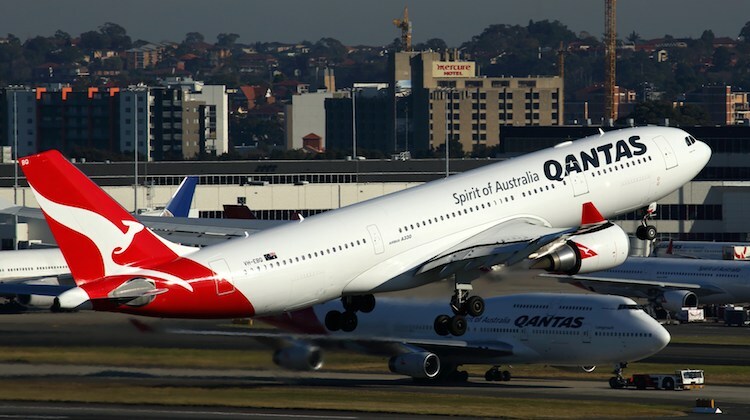 “Qantas International has now grown yields for the last 11 months and while domestic demand remains muted, capacity cuts are more than offsetting this, leading to load factor and yield growth,” Dobson said in a research note dated March 30.